I know it’s more a Strategy Game than an SRPG, but think about it. Marvelous AQL and The Last Story Lead Designer Takuya Matsumoto said in a Siliconera interview that the Wii U Gamepad could be beneficial for JRPG strategizing. “I feel that the Wii U’s interface… works best for browsing and arranging information,” said the Lead Designer, alluding to how menu heavy JRPGs can be at times. “This special feature will likely bring about opportunities for deep research into JRPG strategy.” He went on to say that other info, like bios, story synopsis, enemy bestiaries, etc. could also be handled by the Wii U Gamepad. This could bring about a much more streamlined experience for JRPGs. Now by streamlined I don’t mean “dumbing-down,” but more that it’ll make the actual selecting of menu items a lot faster than on a standard controller layout. Think of how quickly you might’ve selected things on Wii games using the IR Pointer. It was pretty damn quick. Also, while Matsumoto says JRPG strategizing, this could apply to Strategy RPGs. Games like Final Fantasy Tactics, Disgaea, Valkyria Chronicles, and Front Mission could benefit from this approach. 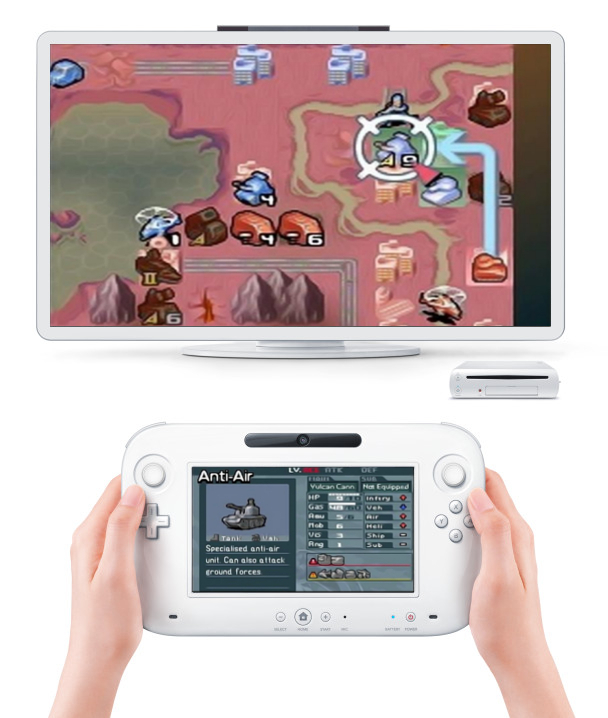 These games are rife important information on terrain, units, and other miscellaneous info that the gamepad could provide without having to take you to a separate screen on the TV, or clogging up the screen with info (think Final Fantasy Tactics Advance). Heck, it could even work for RTS games like Starcraft. Some might see the Gamepad being used for just menu based stuff like maps and menu items in the future, rather than playing a more pivotal role. It happened on the DS with one of the screens being used as such, and it was fine by me. This entry was posted in Gaming News and tagged games, JRPGs, Marvelous AQL, mistwalker, nintendo, Strategy RPGs, Takuya Matsumoto, the last story, wii u, XSEED on August 4, 2012 by Steven T..